Welcome to Star Valley, a little treasure tucked away in the woods in the quaint town of Buchanan. This little treasure is surrounded by woods with Beautiful seasonal color changes. 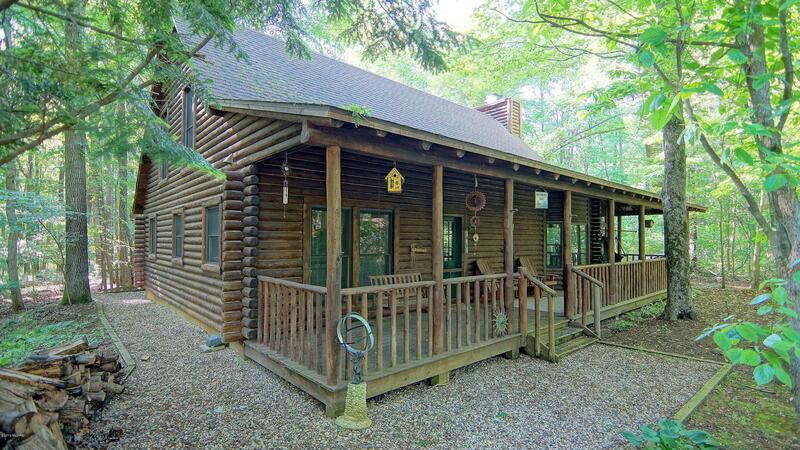 Enjoy 147 acres of communal hiking, cross country skiing, sledding or playing with snow shoes. The lake/beach is private to the community and stocked with an abundance of fish. Enjoy the boat launch area all day long if that's your cup of tea. This is a gated community with a grounds keeper that is eager to help inmany ways. Enjoy the fireplaces, three bedrooms, a screened porch and much more. This can be purchased fully furnished with recreational gear. Looking for ambiance or a quiet place? New Acia wood floors, Quartz counter tops, stainless steam Maytag appliances and cedar lined closets. Welcome home! Be Sure to check out the 3D Virtual Tour of this home!